Android and Apple apps have been shown running side-by-side on the same devices thanks to software developed by US computer scientists. 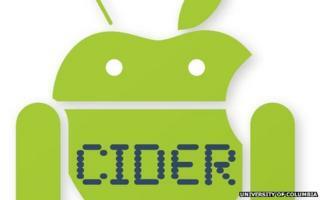 The software, called Cider, has been created by postgraduate researchers at Columbia University. Cider lets Android gadget owners mix and match the Android and iOS apps they load on their phone or tablet. The research team said Cider was only a prototype and that they had no plans to turn it into a commercial product. The six-strong team of researchers said they embarked on the project to create Cider to get around the limitations that smartphone and tablet users are forced to accept. In addition, some Apple apps that call on a phone's camera, GPS system or Bluetooth perform poorly and the researchers are continuing their work on Cider to fix these problems.